with Mrs. Margaret Finfrock, veepee[sic] of L.A. Advertising Women, Inc. 7-8, L to R: Rob't. 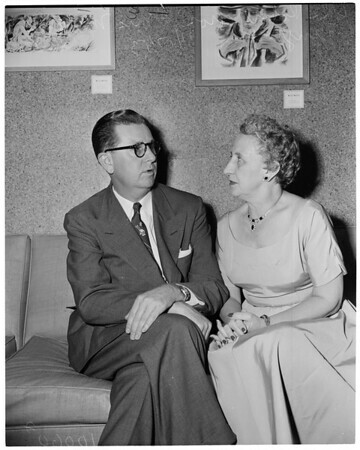 Gros with Charlotte de Armond, president of L.A. Advertising Women, Inc. (Gros addresses L.A. adv. clubs at Statler)."